Dolce & Gabbana Light Blue was designed with inspiration from the Mediterranean sea, a hotspot of romance and love. 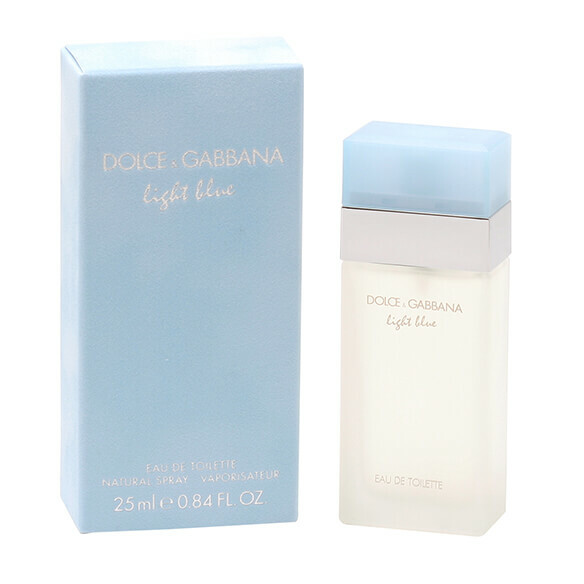 Dolce and Gabbana Light Blue perfume is breezy freshness captured in a clean and simple bottle. Cedar, apple and blue-bell are unexpected in the top notes and provide a feeling of sparkling enthusiasm. The floral middle notes are pleasant and calming, and the musk, amber and woodsy notes feel sultry and haunting. Remember ladies, a little goes a long way with this absolutely charming fragrance! An EDT spray. 0.84 fl. oz.